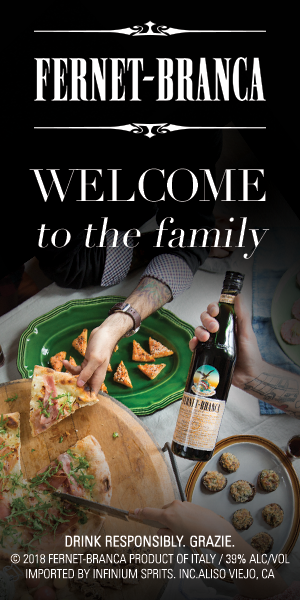 Born and raised in Milan — the home of Fernet-Branca for 173 years — Edoardo Branca, the sixth-generation descendant of Bernardino Branca, is the U.S. manager of the Fratelli Branca Group. His role is to represent the brand in the United States and Australia, sharing the wonders of his family’s renowned spirit wherever he goes. We’re pleased to share a glimpse into the life of this distinguished man, including his worldview on life and business, his open-mindedness to the wonders of libations, lessons he’s learned from his ancestors, and the wisdom he hopes to pass on to the next generation of Brancas one day. For most of his life, Edoardo only drank his family’s libation neat. It took traveling and meeting many new people to open his mind to other options. “The typical Fernet-Branca drinker is a little bit different, has a little bit more curiosity,” he says. “I meet so many people who love the brand and are really engaged in it.” Devotees regularly show him their Fernet-Branca tattoos, regale him with their Fernet-Branca tales, and convince him to try their custom Fernet-Branca cocktails. In 2015, Edoardo released his first book, Branca: A Spirited Italian Icon, a beautiful, richly illustrated tome covering the history of his family’s distillery, shown through poster art and advertising campaigns the brand has created over the years. He spent several months touring the U.S. in support of the book, touching down in several cities, from San Francisco to NYC, to share fascinating facts about the liqueur’s legacy. To hear from some of the food & drink world’s heritage families, go here. To read about sisters making new business traditions, click here.